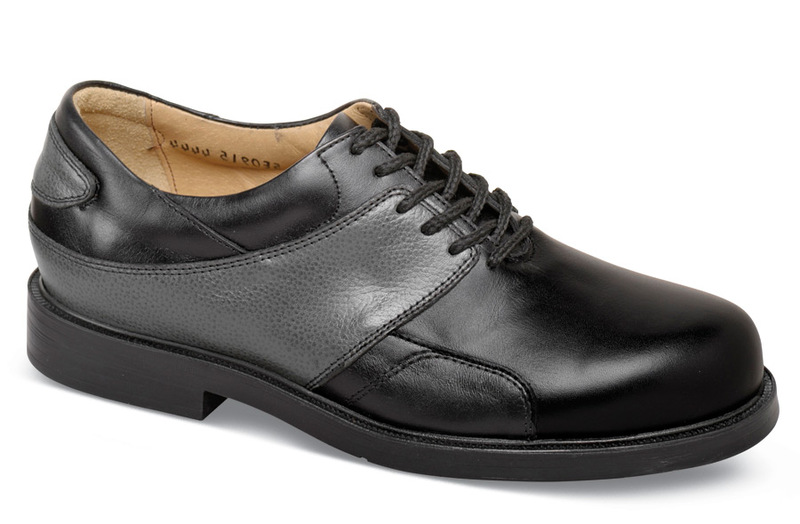 The handsome Hitchcock golf shoe has highly water-resistant leather uppers of smooth black and grey grained leather. 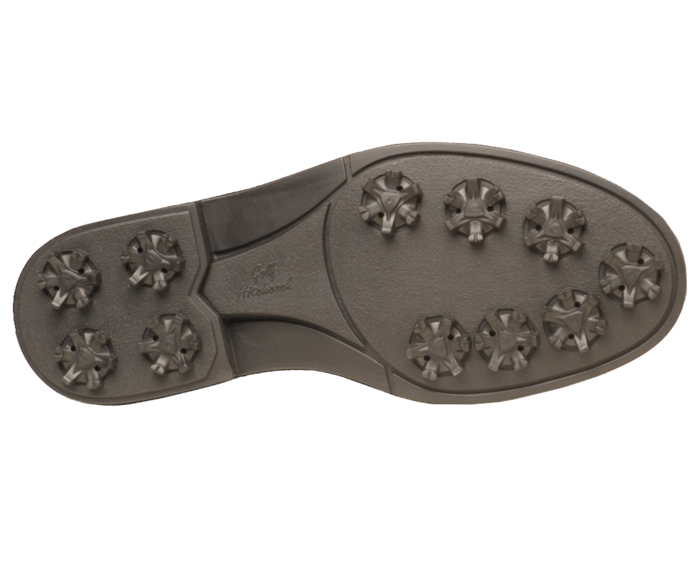 The exclusive lightweight Hitchcock golf sole is fitted with sure-footed Champ ScorpionSpikes. Lined toe to heel with breathing leather. Men's sizes 7–12, 13, 4E and 6E.